Now it’s personal-Page 599-The Guns at Last Light. 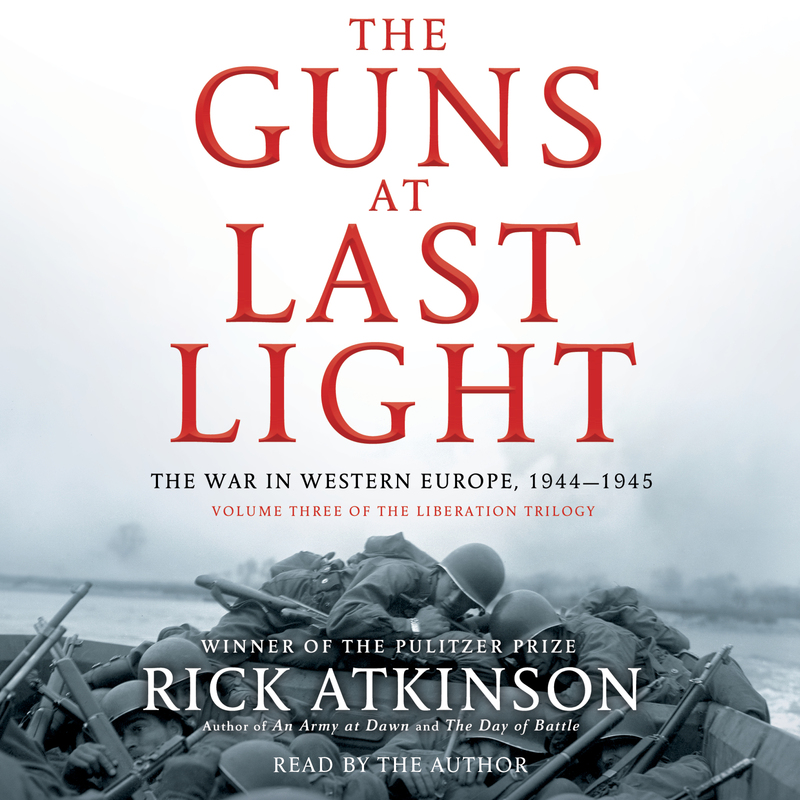 I’m recovering from a foot injury and it has given me time to finish Rick Atkinson’s latest release, The Guns at Last Light: The War in Western Europe, 1944-1945 in his Liberation Trilogy. With school around the corner, I am excited to be teaching a couple dozen seniors once again about World War II, and in the springtime, the Holocaust. I’m happy with Mr. Atkinson’s coverage of the heroics of the 30th Infantry Division-he even made a research pilgrimage to Hill 314 in Mortain, where elements of the 30th held off against a Hitler-ordered panzer counterattack for 6 days, saving the Allied breakout in Normandy in August 1944. If you are a follower of this site, you will know that that division is dear to my heart, not because of any blood relations who fought in it, but because they named me an honorary member of their Veterans of World War II Association for my work in the classroom and in uncovering and reuniting the story of the liberation of the concentration camp train at Farsleben, Germany on Friday, April 13, 1945. So I did a double take: Ravenous ex-prisoners licked flour off the floor of a Farsleben bakery. 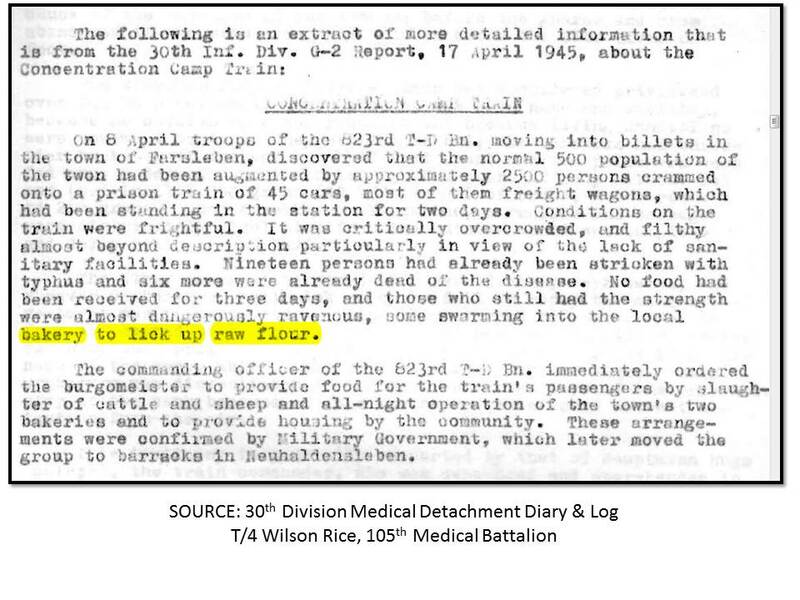 I checked his notes-page 801, sure enough, 30th Division G-2 report. I know I have read this before in my research of primary source documentation, originally sent to me by Frank Towers, one of the liberators. Here it is. Of course, the backstory surrounding the document above is the story that I have to tell- the soldiers of the 30th Infantry Division and the attached 743rd Tank Battalion, the Holocaust survivors whom they stumbled upon, liberated, and were reunited with 62 years later at our high school and subsequent events. I’ll probably share the Benjamin photo with Mr. Atkinson on his FB page. Anyway, I recommend the book to any of my followers interested in the history of World War II in the European theater, and am really pumped to teach some very excited and motivated students this year, including the grandson of the tank commander who was sent to investigate the train. This is how you “do” history, and how the teaching of history can sometimes take on a life of its own. So cool to be a part of it, and to read something in a best seller and be able to grasp the incredible backstory that awaits to be told. Matthew Rozell rediscovers and rekindles interest in sutler site, 1996. Today I am going to get a special phone call from an archaeologist whom I have known and worked for for thirty years. David wants me to be present for the removal of three intact 18th century olive green glass spirits bottles from a French and Indian War sutling house, or trading post, just outside of the British fort on the banks of the Hudson River near Rogers Island. Two intact bayonets were discovered here earlier in the week, but more exciting for us is the fact that we now think that we have found the elusive 4th wall of this building, which burned to the ground a few years into its existence. We have been searching for it for twelve summers. Excavations began here in 2001, with me and digger Johnny Kosek and Mark Van Valkenburg. 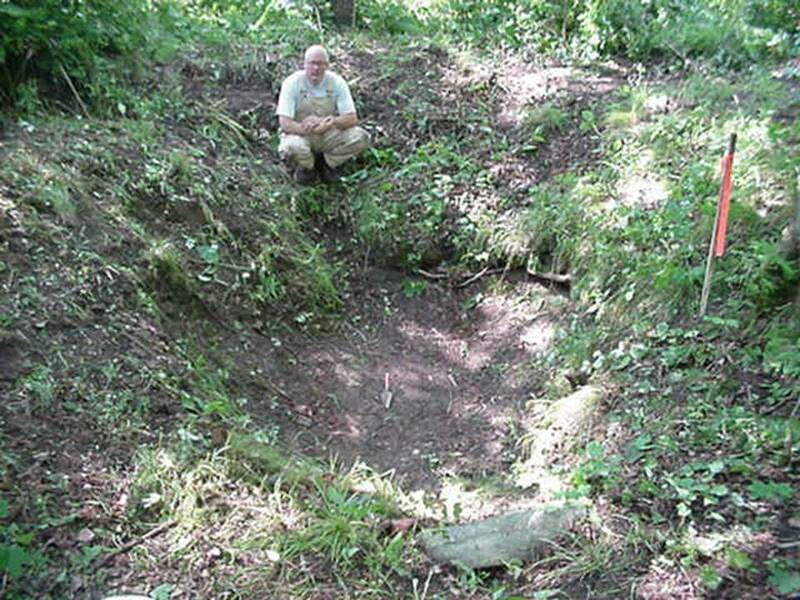 I had stumbled upon it during a pensive walk in the woods near our fort excavations in the summer of 1996. I had found a looters’ hole in the ground, spadefuls of earth littered with fragments of the very same bottle glass fragments from the period. On the ground I spied what looked like a shiny silver dime partially covered by the sand. A heavy rain had uncovered what the looters had wanted- a Spanish silver coin from 1748. Remember Hawkeye of the Last of the Mohicans? He would have drawn a dram or two here. Period map showing location of sutler’s complex. Island just to west of river. My association with this important ground, so fundamental to the formation of our nation, began in 7th or 8th grade. Four of us would ride our banana seat bikes down to Rogers Island one summer in the early 1970s, sneaking smokes, getting away from our parents and siblings, and just dig holes in the ground with our moms’ gardening tools. I recall digging a hole as deep as my arm would allow, a tunnel straight down, a criminal activity in the eyes of any competent archeologist. Thankfully, we never found anything. A dozen years later, in 1986, I would return as a volunteer crew member on an archaeological dig searching for General Gates’ American headquarters at the Saratoga National Battlefield Park. Here I would encounter David for the first time. I remember him asking me, after my first two weeks as a newbie, if I would ever consider going into anthropology/archaeology as a career. I think I was flattered, but I had just wrapped up my undergraduate work and was sending resumes out for teaching. I followed him though, in 1991, to return to this Island. I had gotten hired at my high school alma mater 3 miles up the river and now had the opportunity to professionally learn what secrets the Island held. In 1992, David felt confident enough in my abilities to give me the reigns of the search for the elusive smallpox hospital at the southern end of the Island. We found it after three years of digging in the summer of 1994. 800 people died here. It was the only smallpox hospital from this era ever discovered in North America. I began to write. 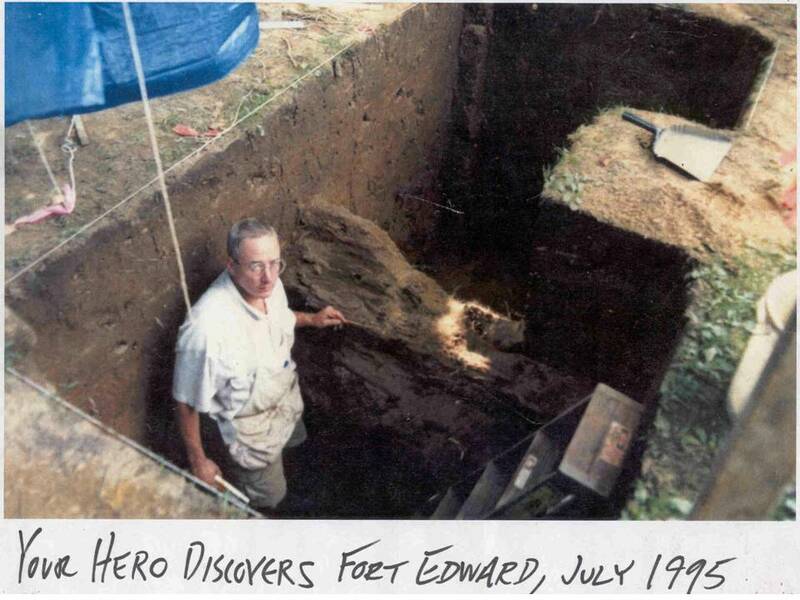 In 1995 and 1996 we professionally dug at the site of Fort Edward, no easy feat considering that today twelve houses are built upon it. At one point we were excavating a bastion (corner) in the basement of a house! We opened up a pit in a front lawn, properly protected and barricaded, but the paper boy still managed to stumble into it. I found the West Curtain wall with Johns F and K, Mark, Brad and Susan and Hans. And one hot summer day took a stroll down the riverbank to stumble upon the sutlers house. From 1997 to 2000 I worked at the parade ground of Fort William Henry, the one where the final siege takes place in Coopers Last of the Mohicans. 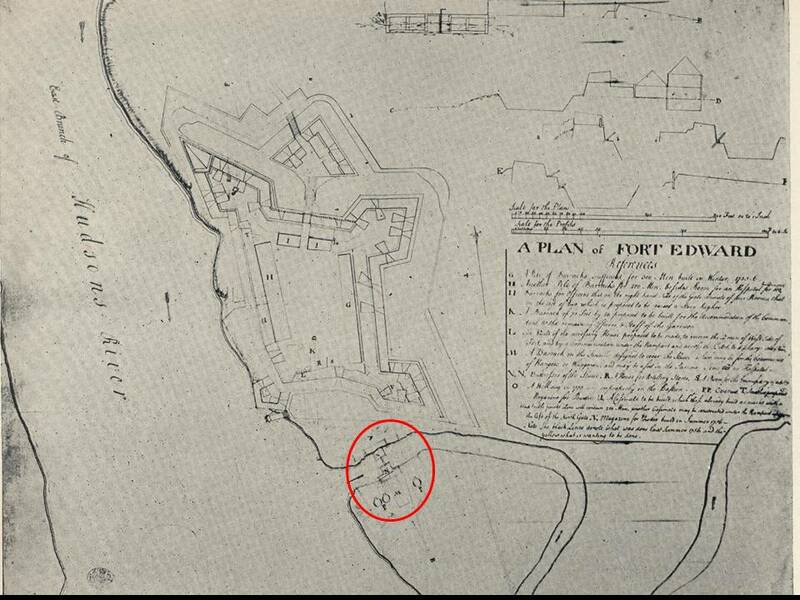 We found the charred remains of the East and West barracks, the exact footprint of the original fort. Our high school kids learning how to think, placing the artifacts at hand in the context of a major world war that was partially fought in their own backyard. and later returned with high school students to teach them how to professionally draft a research question, study primary source maps, diaries and other documents, and begin to look for clues, and only then to dig properly, mapping all the artifacts and features as they emerge. 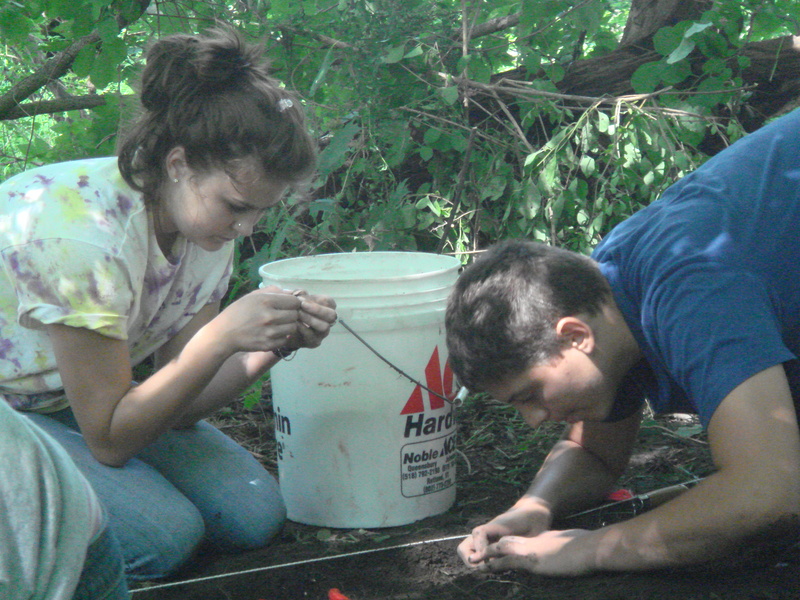 They learned how to dig, yes, but more, they learned how to think. 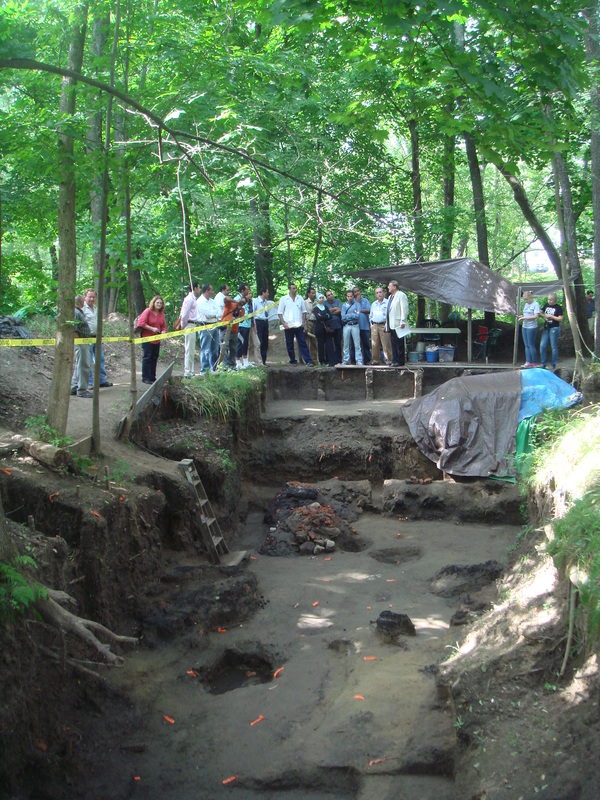 Egyptian Archaeologists visit the sutlers site, 2009. My baby. They were impressed. Lots of times when everyone would leave I would just sit at the sit alone for an hour or so. Just sit in the stillness and wonderment of this place. Just something I have always felt a need to do. It’s like the place has some kind of power over me. It’s my baby. 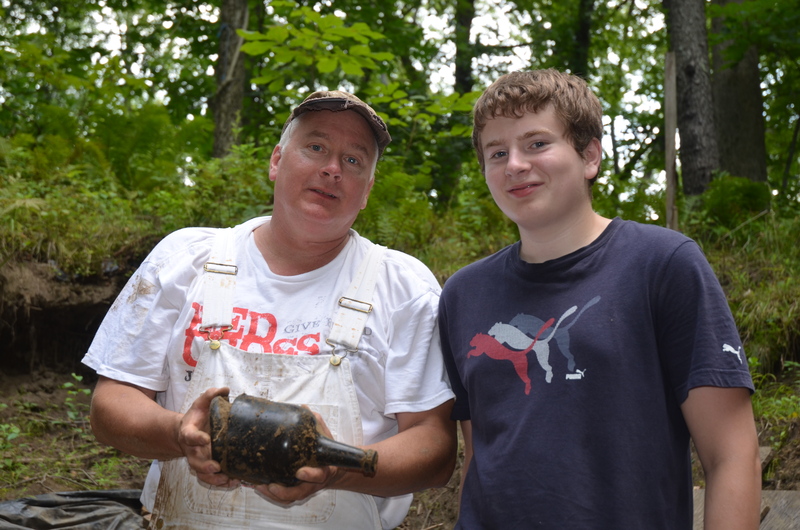 When we are digging, we are touching objects that have been lost for over two hundred sixty years. I am the first to touch this bayonet, this coin, this tobacco pipe, this bottle since it was last handled. Thus the anticipation of touching these three intact, upright bottles. My house building activities have kept the project at arm’s length, but the excitement is still there and rekindled. 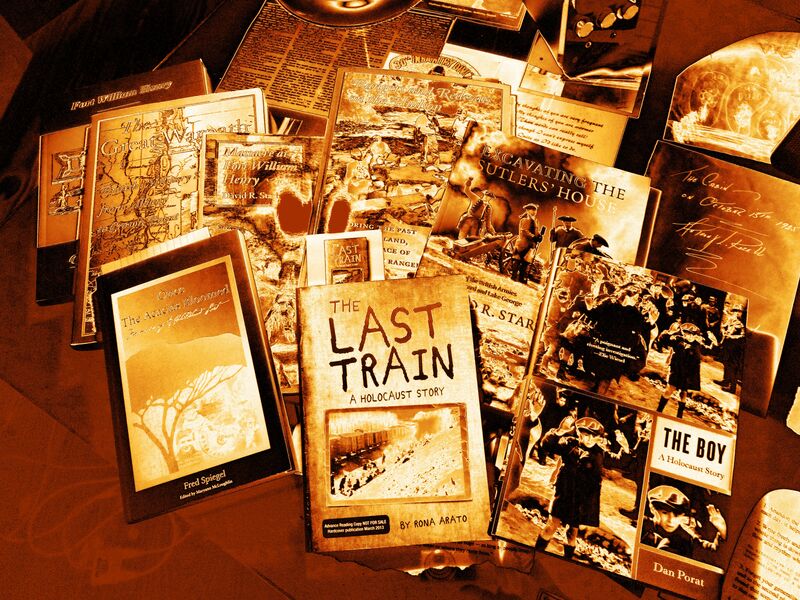 If you want to learn more, there are several books out by David Starbuck. I’m in this one quite a bit. After today, I joked to him yesterday, he may have to update it. 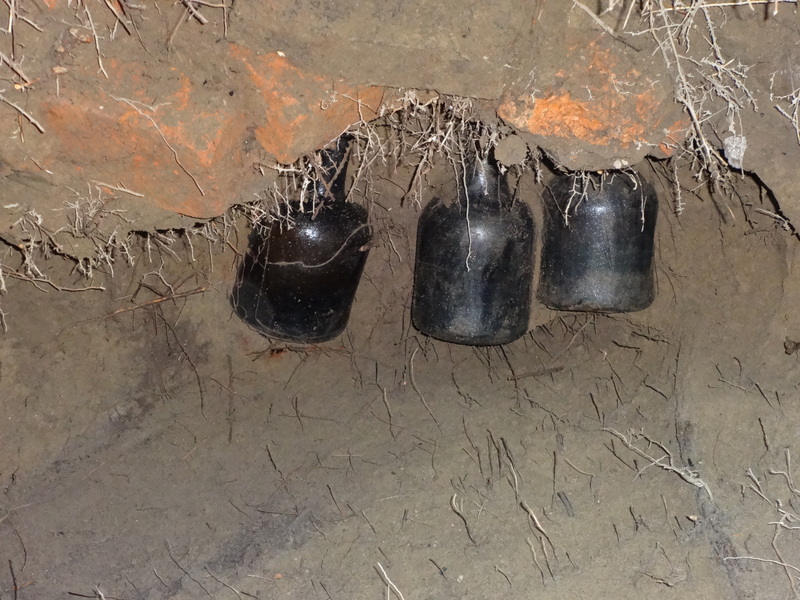 POSTSCRIPT: I was given the honor of extracting the three bottles. We also found three additional ones behind them. The Egyptian archaeologists would have been proud- my personal King Tut’s tomb moment. The bottles were all complete, two thirds of them totally intact. 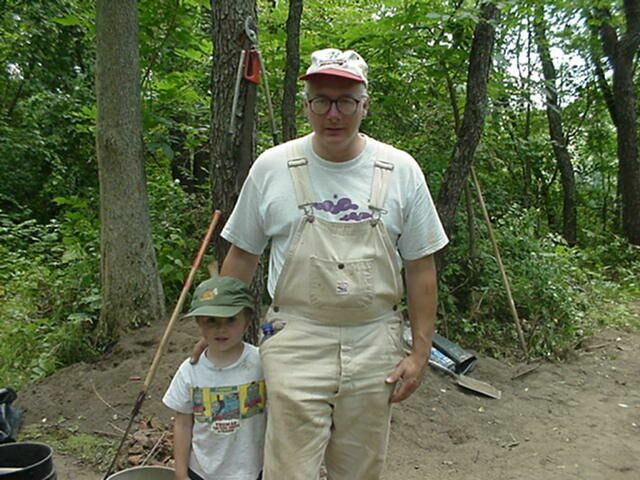 My son Ned and I, 2002, the sutler’s site, Fort Edward.